Dr Priti is a former consultant from Sankara Nethralaya, trained in the super specialty of Orbit, Oculoplasty, and Aesthetic and Reconstructive surgery. 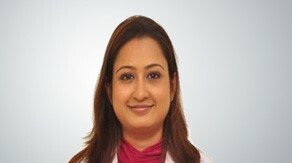 She has a vast experience in this field and has successfully performed numerous such surgeries. This specialty includes plastic surgeries and reconstructions around the eyes and associated structures including the eyebrows, forehead and midrace. This includes surgery for eyelids (droopy eyelids, in-turning or out-turning of eyelid margin, eyelid defects, injuries, tumors); management of orbital tumors, fractures, thyroid eye disease; treatment of watery eyes and obstructed tear ducts, artificial/false eye placement.Dr Priti also performs aesthetic procedures like treatment of hooded or baggy eyes (blepharoplasty), treatment of droopy brows, facial wrinkles (Botox and fillers) etc.